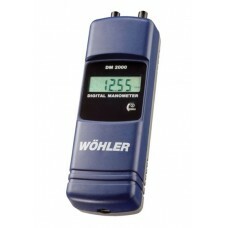 The DM2000 is only used for measuring flue draught. As chimney draught is a negative pressure it has to be measured on the negative connection of the DM2000 to get a positive result (e.g 20 PA draught – under pressure). The instructions for use are printed on the reverse side of the unit.